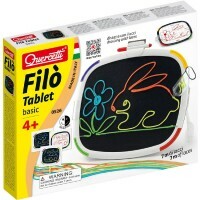 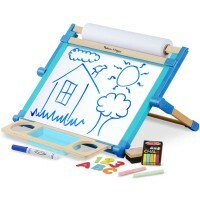 Create chalk drawings or learn to write letters on the dry-erase board with Hape's Anywhere Art Studio set. 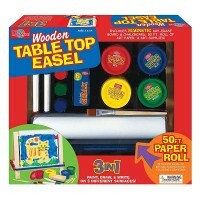 Draw and with dry-erase markers or chalk on this convenient tabletop board. Hape's new Anywhere Art Studio Double-Sided Tabletop Board Set brings an portable activity board that you can place on any table or floor to create an art work space for your child. 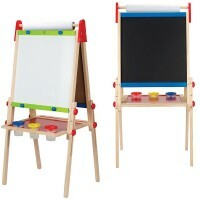 Young artist and learner will be delighted to write or draw on a whiteboard or chalkboard. 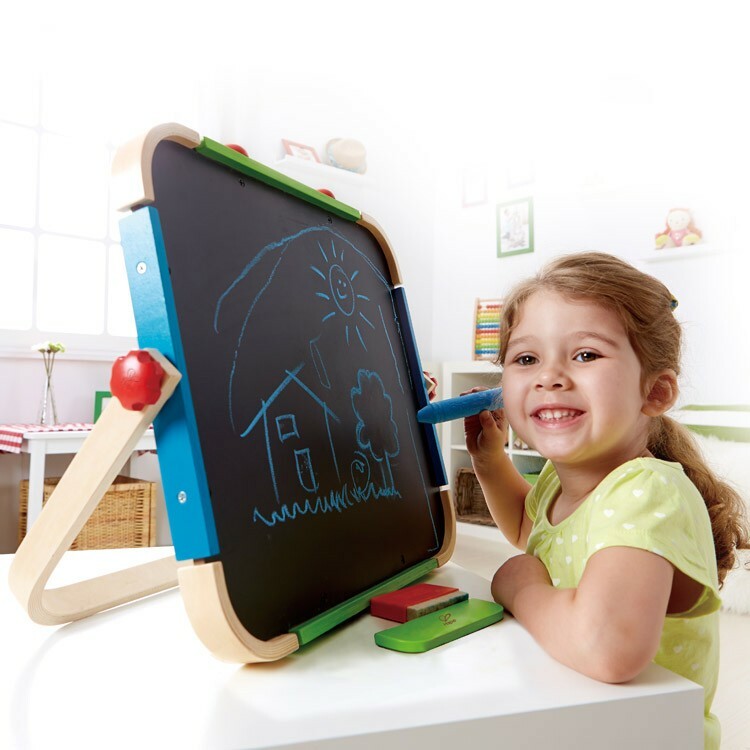 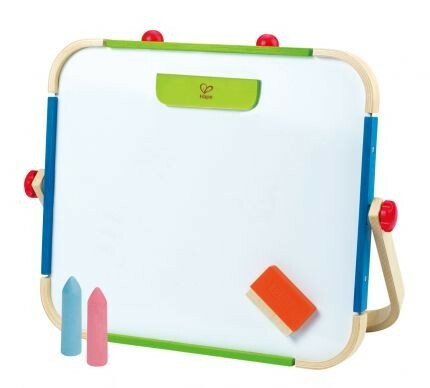 The Anywhere Art Studio Double-Sided Tabletop Board Set comes complete with a double-sided whiteboard and chalkboard easel, 2 pieces of chalk, magnetic felt eraser, and a magnetic shape to hold notes or drawings in place. 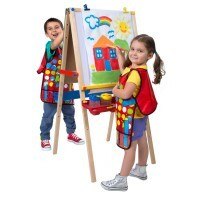 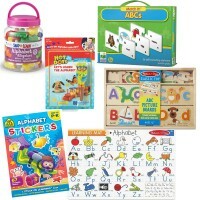 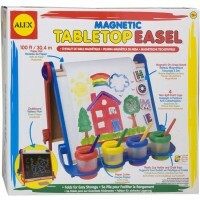 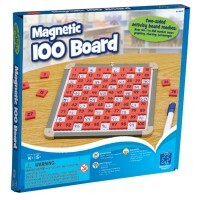 The assembled kids art activity board from Educational Toys Planet measures 19 x 18 x 1.2 inches. 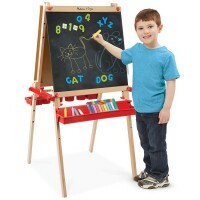 Whether you use your own dry-erase markers to write on the whiteboard or use chalk to draw pictures on the blackboard side of this tabletop easel, you will have plenty of space to create and practice handwriting skills. 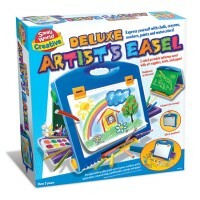 Dimensions of package 1.18" x 19.07" x 18.01"
Write your own review of Anywhere Art Studio Double-Sided Tabletop Board Set.